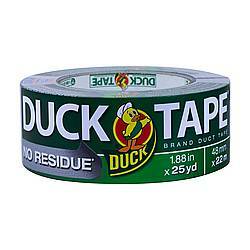 - Choose Size - 1.41 in. x 8 yds. 1.41 in. x 12 yds. 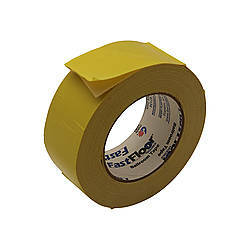 Purchased Most Frequently: 1.41 in. x 12 yds. 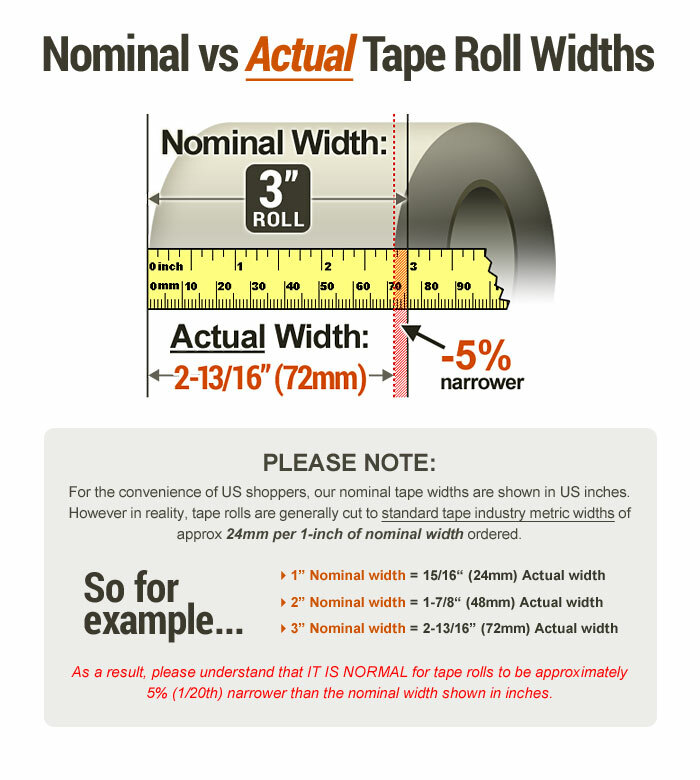 (Natural) | See Pricing Table below for additional options. 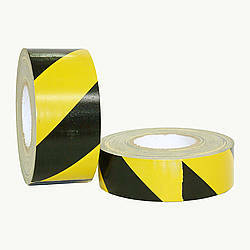 Duck Brand Double-Sided Duct Tape is a simple solution for any indoor or outdoor mounting, seaming, or holding project. 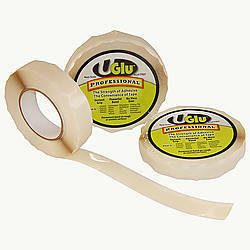 Its aggressive rubber adhesive system on both sides provides a stronghold for short or long term repairs or mounting jobs. 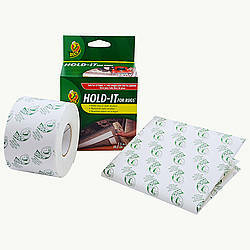 Duck Double-Sided Duct Tape tears easily by hand and has an easy release liner which makes application stress free and easy. 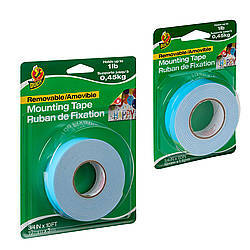 No cutting tools are required for this tape which makes DIY carpet, flooring, or mounting applications simple at home or the office. 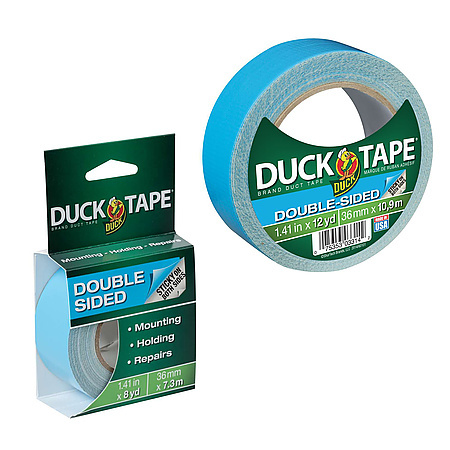 Duck Brand Double-Sided Duct Tape features a durable woven cotton cloth coating on both sides, covered by a polyethylene liner. 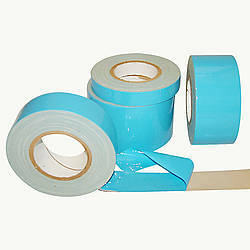 This tape is 14mil thick and has both high tear and high tensile strength. 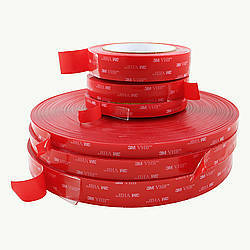 At room temperature Duck Brand Double-Sided Duct Tape has good shear properties and has clean removability from various surfaces. 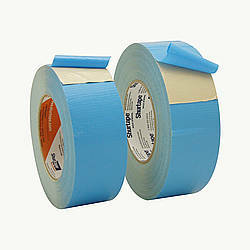 This tape is available in two different core sizes and lengths. 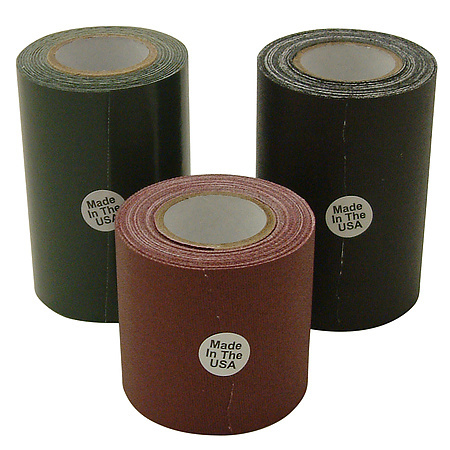 The 8-yard length is conveniently rolled on a smaller, easy to handle 1.5-inch core diameter and the 12-yard length is rolled onto a larger 3-inch diameter core. 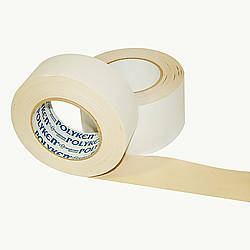 Thickness: 13.5 mils (carrier, adhesive) What is mil thickness? 1.41 in. x 8 yds. 1.41 in. x 12 yds.